1 What Is Pepperoni Or Pepperoni Sausage? 3 Why Does Pepperoni Curl? 4 What Is The Distinctive Characteristic Of Pepperoni Sausages? 8 How Is Pepperoni Made? 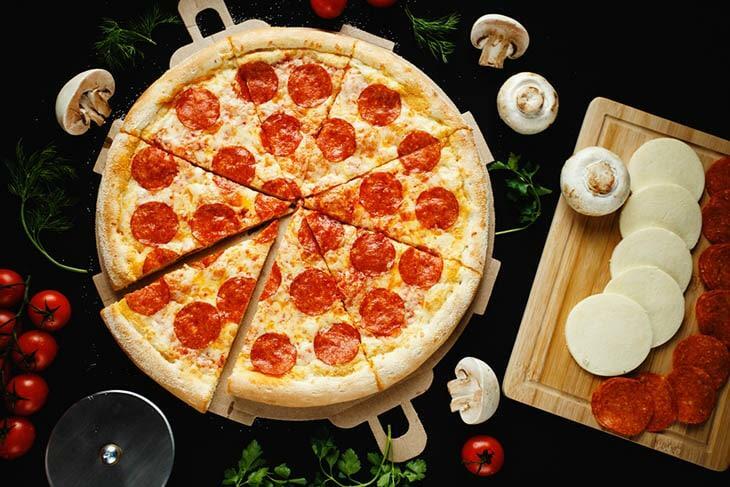 Are you one of those persons who can’t resist the delightfulness of pizza? Well, you’re not alone with that. 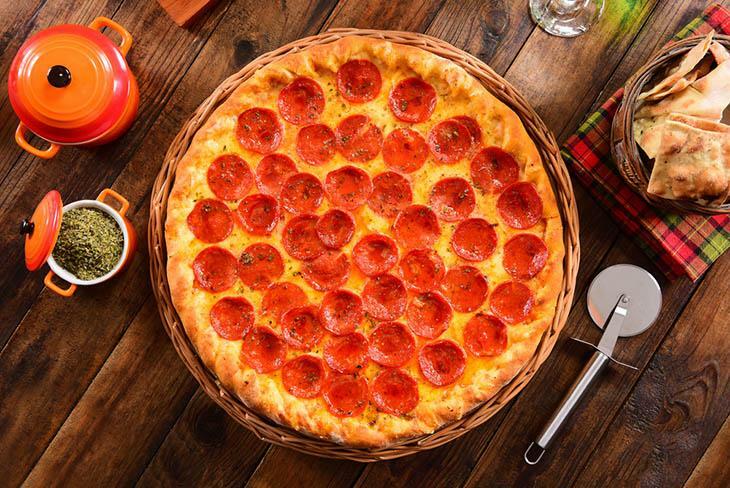 But aside from the crispy crust and tasty flavoring, what’s typically captivating is its toppings, which is commonly covered with pepperoni sausage such as Old World pepperoni. What Is Pepperoni Or Pepperoni Sausage? 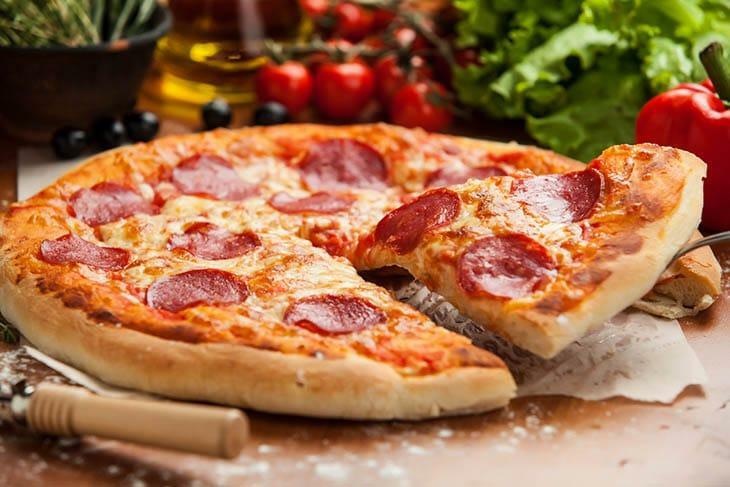 Pepperoni is one kind of sausages, which is made from ground meat (beef, veal or pork) added with spices, breadcrumbs, and salt that are later put in a skin casing. Sausages are being preserved through drying, curing, freezing or smoking. Pepperoni sausage is known to be an American salami variation. Like other sausages, it’s made from cured beef and pork that are being combined together. Characteristically speaking, this type of sausage is slightly smoky, soft and color red (bright). Pepperoni sausages can be available in 2 major styles in the market these days. These are the traditional or “Old World” style pepperoni and the American style one. This pepperoni uses an artificial casing that produces straight and evenly thick sticks, which can be easily sliced. 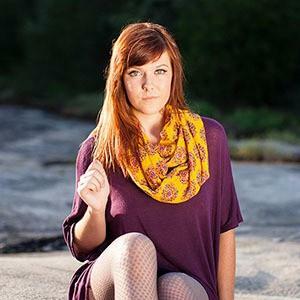 It’s not reddish in color but rather slightly orange. Compared to “Old World Pepperoni, it has a milder flavor. The traditional pepperoni, on the other hand, uses natural casing, typically made of sheep gut. It has dark red or mahogany color and tastes very spicy. Since it utilizes natural casing, it becomes curly and may vary in thickness. With that, you may encounter a bit difficulty in slicing this sausage. If you’ve already eaten or see an Old World Pepperoni, you would notice that it’s quite smaller and crisp rounds. It still contains skin, wherein when you bake it, the pepperoni sausage will burn. This type of pepperoni is considered better compared to the regular one. Varied customers have been preferring the bacony flavor of crispy, curled as well as charred pepperoni. American style curls less compared to the traditional one. However, the fewer the thicker pepperoni pieces, the better the taste. Aren’t you curious on why pepperoni curl on top of your pizza? While curly toppings are mouth-watering to see, let’s know some reasons why pepperoni curls that way. 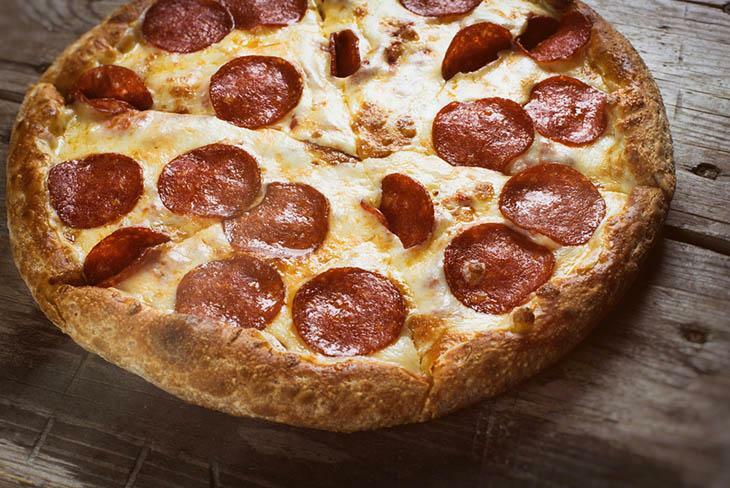 As you baked pizza, the pepperoni’s edge typically curls upward which creates a discrete lip. When this happen, that particular lip cooks quicker compared to the base. The browned lip almost have that bacon-like attributes that are desired by most of you. It seems to melt in your mouth in crunchiest ways. This is why most of you enjoy pepperoni pizza. When the pepperoni slices are thicker, there will be a huge difference regarding the heating rate between the pepperoni’s bottom slice and top slice. When the pepperoni’s top slice cooks quicker than the bottom, the tendency is to shrink more, which then causes the pepperoni sausage become curly. Another curling reason is casing. The premium quality pepperoni sausage sticks are usually made through stuffing meat products or mixture into a casing, either artificial or natural one. Old World Pepperoni or the traditional pepperoni sausages has a natural casing, which typically shrinks up when baked or cooked. What Is The Distinctive Characteristic Of Pepperoni Sausages? 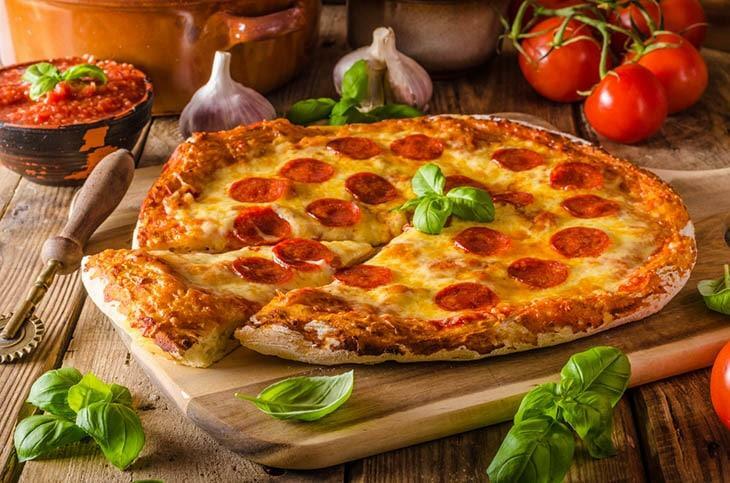 Though pizza originates from Naples, the Italian-American has bale to bring a distinct level of twist to the world and it is through pepperoni pizza toppings. Here are few traditional recipes that are worthy to share. 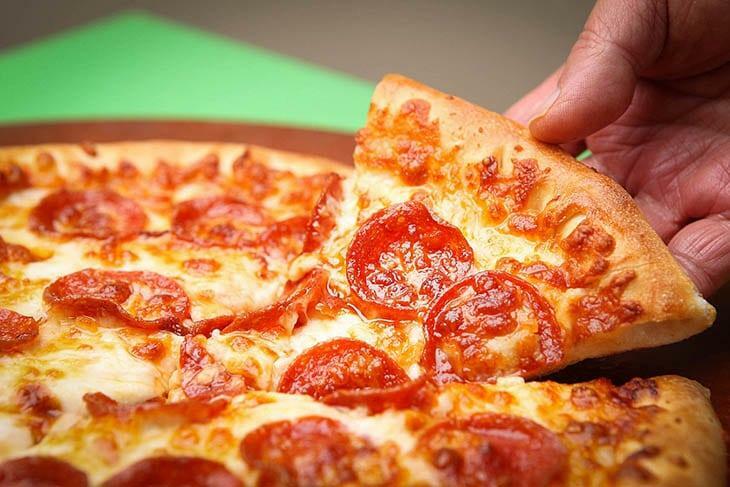 Pepperoni (amount is dependent on how much you like. Pour the hot water into your prepared pan. Add the yeast then gently stir it. Let it sit for about 5 to 10 minutes until you noticed that the yeast is activated. It’s when it becomes foamy at the water’s top. Add the sugar, oil, and salt. Simultaneously stir the mixture while adding flour gradually. Stop adding flour when the mixture becomes too thick. Knead the mixture or dough. Get the dough and place it on a floured surface. Afterward, get the dough and gently press it together. For three hours at a certain room temperature, allow the dough or mixture to heave or expand. Then, put it on a floured surface or counter. Using your hands, flatten the dough up to 0.5 inches thick with 15-20 inches in diameter. Do the drape and fist to the dough. Then add some pizza sauce and lastly the toppings. This Old World Pepperoni pizza is one of the favorites due to its awesomely sliced pepperoni and captivating melted cheese slices. You will need about 20 minutes to cook this one. It yields six servings. Preheat your oven up to 350 ° Fahrenheit. Place the pizza dough into flattened floured place and roll to achieve a pizza share. Spread the marinara sauce on top of it. Coat it with shredded mozzarella cheese. Afterward, layer it with the pepperoni slices. Place it in your oven until it becomes golden brown. It’s now ready to be served. In making pepperoni, beef and pork chunks are being combined with sodium nitrate and certain seasonings, which is based on curing agent. A little amount of sugar is also added for the mixture’s flavor and color. But aside from that, it also acts as equalizer and fermentation agent to the increasing level of acid. The meat being selected for pepperoni has less acid because, in the curing process, the acidity will eventually rise. After combining the ingredients, the created mixture will then fit to burst into casings (intestinal tracts of cow or pigs). The casing is responsible for holding the mixture together while it’s being cooked. A more fibrous casing is utilized as pepperoni is manufactured. Then a mechanical stuffer is often utilized to put the pepperoni mixture into casings. Typically, the prepared pepperoni is cooked in ovens or smoke houses. For slowly drying, it should be cooked at low temperature. The whole process of heating as well as drying the sausages would take about days. Cooking this food is taken slowly to prevent the sausage links from over drying. The casing of pepperoni is very absorbent to take in heat and smoke. 1. Pepperoni is often described as an American variation of salami of Italy. 2. 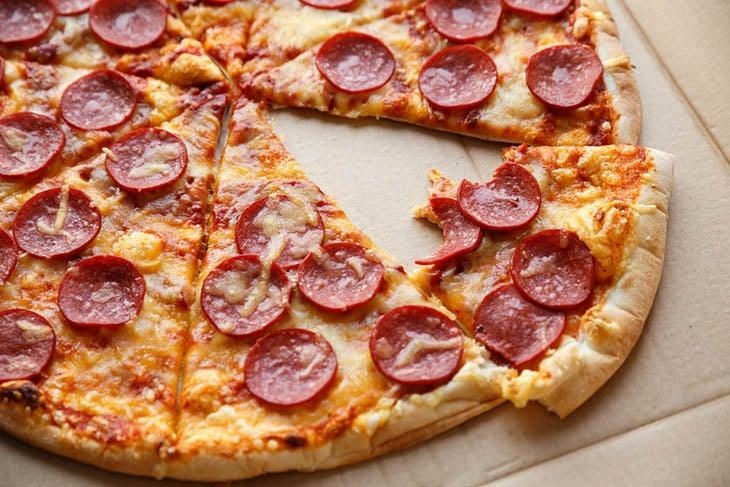 The most expensive pepperoni pizza throughout the world would be as expensive as $12,000. It needs about 72 hours to create it. 3. 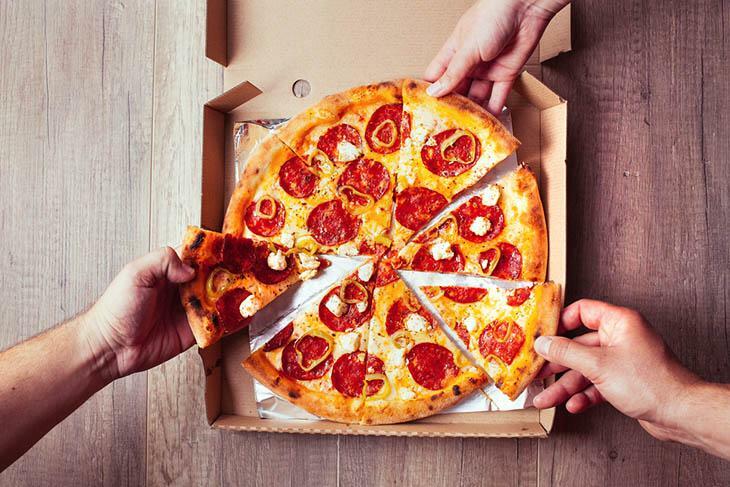 The casing of pepperoni that was once used are intestines of sheep or pigs. 4. 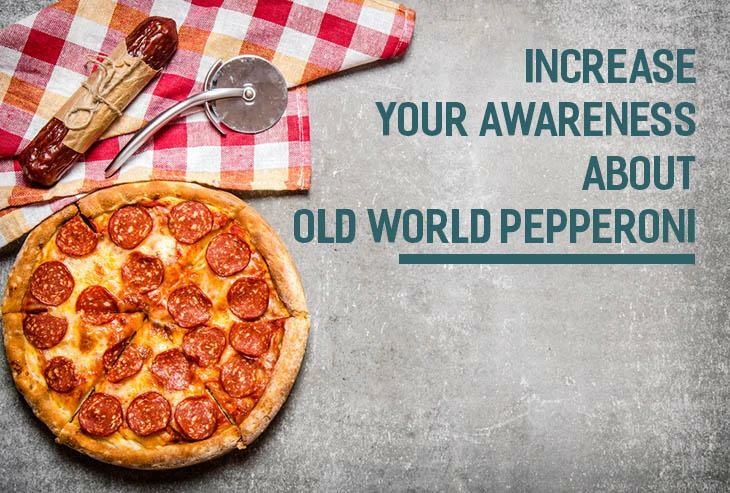 Pepperoni toppings were first utilized on American pizza between the World Wars. 5. Pepperoni is a spicy sausage dried through the air. 6. In Italian language, Pepperoni refers to large peppers (bell peppers). 7. You can see first reference print on pepperoni on 1919. It’s the period when the Italy butcher and pizzerias store began to flourish in the area. 8. There are several types of sausages such as fresh sausage, semi-dry and dry sausages, cooked sausages, smoked sausages, luncheon meats and meat loaves, and smoked and uncooked sausages. Pepperoni and salami belong to semi-dry and dry sausages. 10. In one piece of sausage and pepperoni pizza, you could get 280 calories. When breaking down, you’ll have 47% carbs, 37% fat and 16% protein. 11. Old World pepperoni is also referred to as pepperoni sausage. It’s one of the famous pizza toppings. Moreover, it’s utilized for submarine sandwiches varieties. 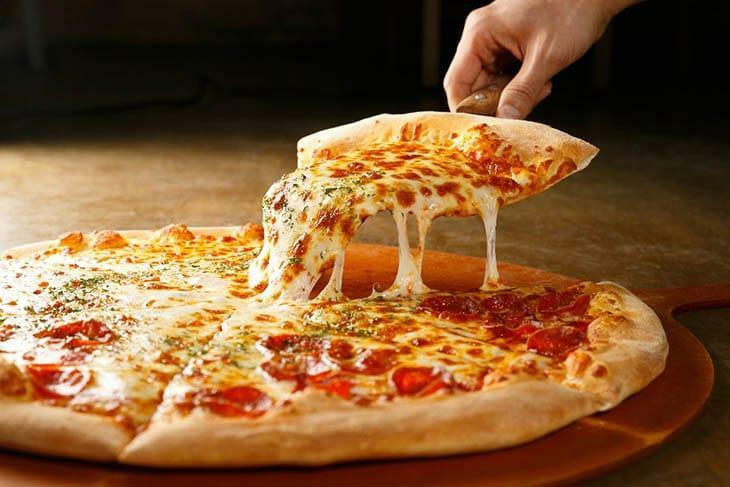 The traditional American recipe and the modern one have played a vast role and create great joy to pizza lovers. Old World Pepperoni as one of sausage variety, amazingly produce distinct toppings to your pizzas. It is placed in a natural casing that gives a spicy kick to the eater’s tongue. If you like what you’ve read, like and share this. However, you have further questions, don’t hesitate to message us or comment below.